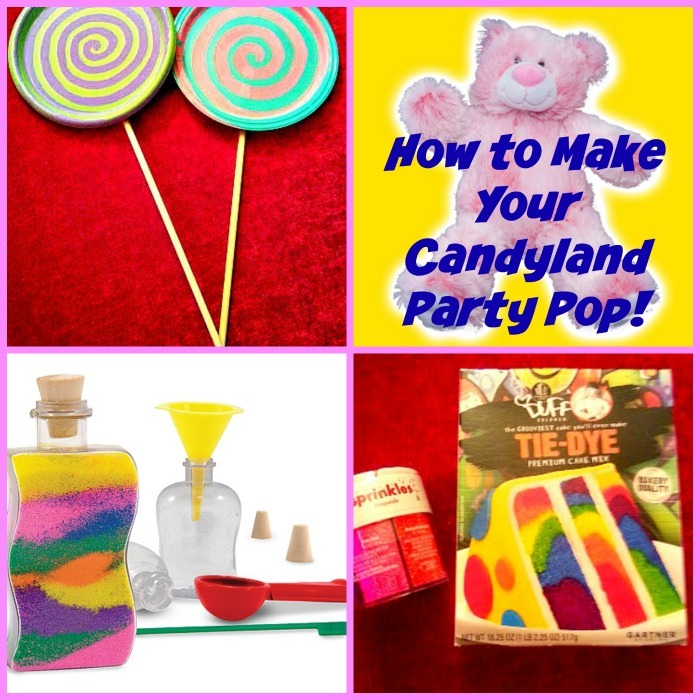 How to Make Your Candyland Party Pop! Create a fun Candyland theme with these simple and fun ideas! Candyland is a very versatile party theme for all ages! You can use it for fans of the game, but you can also use it for candy lovers or even as an alternative to a princess party! I actually did the latter one year for a client to try something new. I even dressed up as Queen Frostine and had the guests as my ladies in waiting! If you are looking to do a Candyland theme, here are a few things to think of adding to your party! These lollipop decorations are fun and easy to make! Decorations can be done pretty easy without breaking the budget. I have a lot of candy decorations that I picked up on the cheap at Target after Christmas. You can also try looking online in the clearance section at places like Oriental Trading. You might be able to find some fun decorations that coincide with gingerbread houses and such. 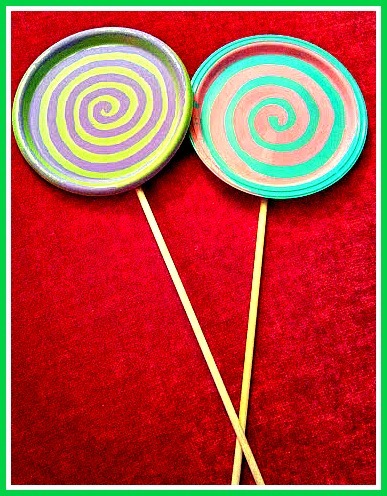 You can also make your own like these fun lollipops. To make them, take disposable plastic plates and hot glue a dowel rod to them. Decorate with paint and voila! Instant lollipops! You can also take colorful cello wrap and wrap balls in them to make them look like candy and hang them from the ceiling. Streamers and colorful paperchains work as well. Obviously, you are going to have CANDY! However, you can also make colorful fruit kebobs to offset the massive amounts of sugar. Keep the food colorful and have fun with it! Label it with fun names! If you are making a cake yourself, you must check out the tasty cake mixes by Duff! 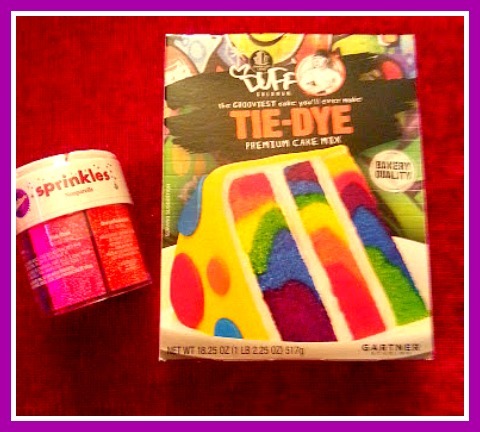 There is this Tie Dye Cake mix that would be perfect for Candyland! Add some frosting, some colorful sprinkles, and maybe some more candy and then you have a Candyland cake. If you want to let the kids be creative, use the cake mix to make tie dye cupcakes and let the guests decorate them. These stuff a plush kits come with everything you need to stuff a soft, cuddly bear to take home. You can substitute for other plushies as well if not everyone is in love with pink bears! Sand Art is colorful and provides a fun, inexpensive activity that can be displayed afterwards. Just make sure you have a tablecloth down for easy clean up! For more tips and ideas, I have pinned several ideas for you to check out! Do you have any ideas to share? Please feel free to do so in the comments below! Follow Bear Haven Mama’s board Candyland Birthday Party on Pinterest.